Many of you know that I’m not only into QRP, but I’m an avid shortwave radio listener, as well. 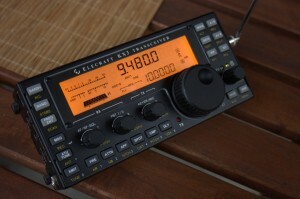 If you’re an SWLer, too, you might might consider venturing over to my shortwave radio blog, The SWLing Post, where I just published a review of the Elecraft KX3. Unlike other reviews of the KX3, this was originally written for the May 2013 issue of Monitoring Times Magazine and focuses on the KX3 as a shortwave radio receiver. This entry was posted in Portable, QRP, QRP Radios, Reviews and tagged Elecraft, Elecraft KX3, Elecraft KX3 review, KX3, Shortwave, The SWLing Post. Bookmark the permalink. I read the review and it’s great you were able to show some sides of the KX3 I never thought of. Seeing it as an SWL rig was very interesting also the short comings that you brought out were spot on. Thanks for taking the time to go over the SWL capabilities of the radio.